Many photographers are unsure about who and what they can photograph and how those photographs can be used. Not knowing your rights hampers your ability to be a successful photographer. There have been many stories about photographers being detained, harassed or even arrested for taking photographs that security or law enforcement officers deem illegal. Some photographers even end up handing over their equipment or photos to authorities. However, as long as you are not breaking the law, you are not required to hand over photos or equipment! There’s no reason this should happen to you as a professional or amateur photographer. Know your rights! Whether you are a professional or a hobbyist, it serves you well to know the legal aspects of the trade. The guidelines below, from the American Civil Liberties Union, are some general laws of the United States concerning your rights as a photographer. In public places, as long as you are there lawfully, you have the right to photograph anything that is in plain view. That includes pictures of federal buildings, transportation facilities and police. When you are on private property, the property owner may set the rules about taking photographs. If you are asked not to take photographs and you do not comply, they can order you off the property or have you arrested for trespassing. Police officers generally cannot confiscate your equipment or demand to see your photographs or video without a search warrant. In some cases, seizure of a camera may be upheld in court if the police have reasonable, good-faith belief that it contains evidence of a crime by someone other than the police themselves. The right to photograph does not give you a right to break any laws. 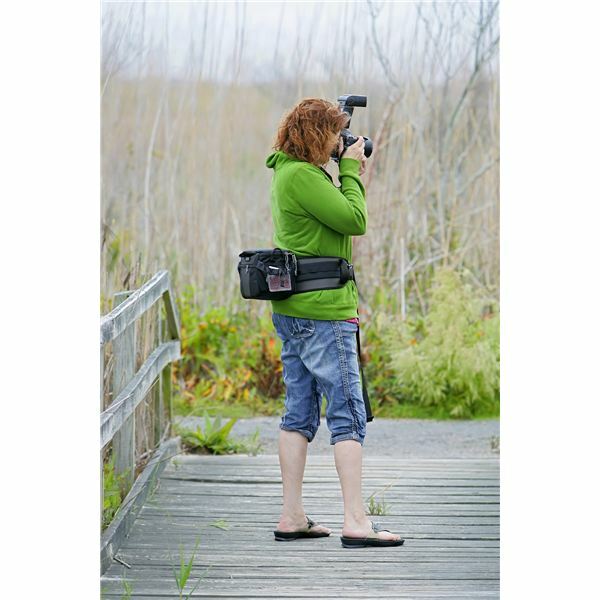 Trespassing to take photographs can lead to charges of trespassing. The Transportation Security Administration (TSA) permits photography in and around security checkpoints as long as you are not interfering with the screening process. They do ask that security monitors not be photographed. The TSA warns that local airport regulations may have restrictions that TSA does not. If you are told you cannot take photographs in an airport you should ask what the legal authority for that rule is. Confrontations and confusion about photographing in public places can be avoided much of the time just by using your common sense. If you are photographing an accident, stay out of the way, let authorities and medical personnel do their jobs. Even though it may be legal for you to photograph a mother and her child in a public place, if you start following them around without explanation, things are going to get out of hand. Ask yourself is it worth a confrontation with the person on the street who does not want you taking their picture. You are not allowed to take photographs where there is a general expectation of privacy, for example, public restroom stalls. Just because a place is open to the public does not mean it is public property. You are required to comply with property owners requests at “public" places such as shopping malls, theaters etc. Some military bases, crime scenes, hospitals and other properties may be off limits. You can’t generally set up shop with tripods, lights and such on public streets and sidewalks where you will disrupt a flow of traffic. Keep in mind that security and law enforcement officers are doing their jobs and a majority of them may not have a clear understanding of your rights as a photographer. They deal with high stress situations every day and even though your actions may be completely within the limits of the law, they may view it as suspicious behavior. As a photographer through, you should be able to state your rights clearly and concisely if you feel you are being unduly harassed. If you have been stopped for photography, ask “am I free to go?" If the officer says no, then you are being detained. Under the law, an officer cannot do this without reasonable suspicion that you have or are about to commit a crime or are in the process of doing so. Until you ask to leave, your being stopped is considered voluntary under the law and is legal. If you are detained, politely ask what crime you are suspected of committing and remind the officer that taking photographs is your right under the First Amendment and does not constitute reasonable suspicion of criminal activity. There are hundreds of different scenarios and questions that you could come up with in regards to obtaining model releases. Can you photograph something on private land while standing on public property and sell the photograph without a release from the property owner? Can you take a picture of someone in the park and sell it on your website without a release from that person? The questions go on and on. The guidelines provided below can help you begin to get a grasp on when a photographer needs to obtain a model release, which generally is not very often. You do not need a release to take pictures. You do not need a release to buy or sell pictures. People do have the right to control how their likeness is used to promote products or services. In these cases it is the publisher’s obligation to secure the release. Property releases are not required to sell or resell photos of buildings or any other physical property.